eLearning has been widely adopted by many universities locally and globally, and even in NUS, students studying under the Communication and New Media Programme had their first eLearning experience early this year. eLearning week is a programme that brings learning online. For a week in the semester, the lecturers post their lectures and tutorials online instead of the traditional face-to-face teaching. 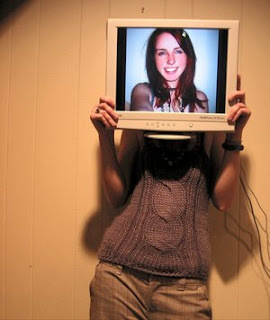 Video conferencing may also be applicable to replace face to face sessions. Students will complete the assignments by the dateline posted and is not required to come to school during eLearning week. The benefits of the eLearning are aplenty. For a few weeks in 2004, Sars outbreak had caused classes to be interrupted in local schools. In times of emergency and epidemics, like during the Sars period in 2004 when classes were forced to be interrupted, eLearning would then play a major part in ensuring that students are able to continue learning online. Also, eLearning also makes learning flexible. Even if the student is overseas, no single lesson will be missed since it can be assessed online. Also, the pace of learning can be controlled by oneself according to the student’s preference. Independent learning is also promoted to train students to learn and think independently. Local schools like National Technological University and Singapore Polytechnic have included eLearning to their course curriculum to integrate online learning make their students learn more independently. As such, I propose the introduction of the eLearning week to NUS Science course due to the above listed benefits. The research question I propose will be: Do students in Science Faculty at NUS support the introduction of an eLearning week to its curriculum? The objective of my study is to determine if a majority of students in the Science Faculty support introduction of eLearning week. My aim will also be to present a report on the responses of the students in Science Faculty at NUS towards introduction of the eLearning week, to curriculum administrators in NUS science course. I think it is a good idea to bring forward an eLearning week to NUS. Especially for people who needs to travel for long distances to school. Furthermore, the eLearning week is very feasible in NUS since almost everyone owns a computer in NUS. This is particularly useful if students have to miss lectures to attend certain important matter. This eLearning would come in handy and help the students to learn. Also, every students have different learning abilities, this would mean that such an eLearning programme would mean that students can rewind and learn at their own pace. Looking out of NUS, some companies also implemented 5 day work week, with 1 day working at home. This can help to conserve resources and cut the hastle to travel to and fro from work. E learning is definitely a very interesting project topic. And it is really feasible to implement it in NUS, since everyone owns a computer in NUS. Moreover, in times of epidemics, the students can still learn and study at home without being affected. Students can learn at their own pace and recap what they learn as and well they like. However, the student must be disciplined enough to "attend" E learing too. But given the fact that the students in NUS should be mature and disciplined enough, I think everyone should be able to learn at our own pace. I am currently pursuing a Bachelor’s degree in Life Sciences with concentration in Biomedical Science from National University of Singapore. With strong interest in drug research, I aspire to become a drug researcher in the near future, embracing the ambition of discovery of cures for the incurable diseases. I am also passionate about travelling and backpacking, and have been to regional places like Taiwan, Indonesia and others. Travelling not only broadens my horizons, it also motivates me to develop a willingness to embrace differences in people and cultures, and be passionate about life. Volunteering also nurtures my passion for life. I also enjoy music and play the Chinese instrument, Pipa.